In our interview series, “Seven Questions,” we ask some very smart people about what inspires them and how their latest work enhances our understanding of the sacred in cultural life. 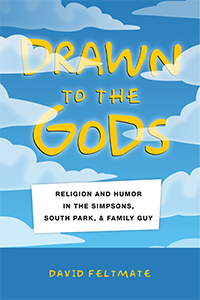 For this segment, we solicited responses from David Feltmate, author of Drawn to the Gods: Religion and Humor in The Simpsons, South Park, and Family Guy (New York University Press, 2017). In the Winter of 2005 I started teaching a course titled “Religion and Contemporary Culture” at Saint Mary’s University in Halifax, NS, Canada. It was a standard religion and popular culture course, but we started with doing a “greatest hits” of the world’s religions. For example, we would do one class session just introducing Judaism and then do a class on Judaism in popular culture. We did that for Buddhism, Christianity, Islam, Judaism, and Hinduism before moving on to other themes. What I found was that students did not know any of the popular culture examples except the ones from The Simpsons. The only way I could keep people’s attention was to quote Simpsons episodes, so that’s what I did, but I was left with the question of “What are they really learning?” since everything seemed so piecemeal. That sparked the idea for my dissertation at the University of Waterloo (“Springfield’s Sacred Canopy: Religion and Humour in The Simpsons”) which I dramatically revamped into Drawn to the Gods. I wanted to know what was being taught through the programs and, most of all, why students got the jokes when they did not understand the key ideas that made the jokes make sense in the first place. That got me started thinking about how humor works as a means of conveying information about religious ideas and sacralizing different points of view. I define religion as “the social structures and institutions that facilitate, support, and protect the belief that there is an unseen order and that our ultimate good relies on harmoniously adjusting to it” (Feltmate 2017, 11). First, I should say that I treat religion as something different from the sacred or sacred things. I see religions as larger social organizations and institutional patterns that involve a lot of mundane human behaviors, some of which are related to things that people consider sacred. I also almost never talk about “the sacred” because the definite article “the” makes me squeamish. As a trained sociologist of religion—and being particularly aligned with a social constructionist way of thinking—I do not think that there is a specific, objective reality that I can confidently claim is “the sacred.” I will discuss sacred things, but what I focus on in the book is sacralization. What I am fascinated by are the ways that people identify, label, and ascribe the characteristics of sacredness to certain objects, actions, and thoughts and how that sacredness is then contagious, sweeping to other relevant things in a social network. Sometimes sacred things are located within religions and I would argue that sacredness is a sign towards different aspects of the unseen order that a given religion facilitates, supports, and protects. In Drawn to the Gods there are two levels of “religion” going on because of the way that I handle sacredness. The first level is common to the study of religion. I specify certain groups: people who are Spiritual but not Religious, Atheists, Native American religious traditions, Buddhists, Hindus, Jews, Christians (both Protestant and Catholic), Muslims, and New Religious Movements and discuss how they are portrayed in the programs through humor. 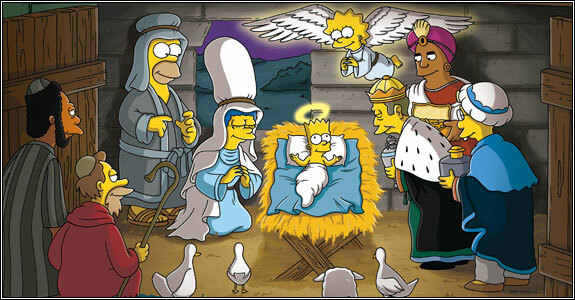 These are the classic examples that are widely considered “religion” and they are foils for the three programs’—The Simpsons, South Park, and Familiy Guy—humor. Studying humor and especially satire for this project was really important because it revealed a second level of sacralization. This second level exists within each program as the creative teams are busy ranking and evaluating different religious traditions according to their implicit standards of what is good and moral in society. Within these two levels of religious behavior being discussed (the traditions that are commonly considered “religions” and the “religiousness” of the three programs) I was able to see how using humor to attack an opponent through satire is part of the larger enterprise of sacralizing things in the United States. The last thing I will say here about sacralization is that I treat it as something that needs constant negotiation between people. Sacredness is fragile and fickle, even if it is powerful when people accept things as being inherently sacred. When we commit to certain things as sacred then that changes our behavior. The more people who commit, the things they treat as sacred are more powerful in a society as a whole and the more people who are dedicated to building institutional and social structures that will outlive the individuals who originally conceive and label things certain things as sacred. This is where religions are important and why people criticize religions with such force. People fight about sacred things. Sometimes they try to destroy opponents. Sometimes they bolster themselves against criticism. Sometimes they appropriate and incorporate sacred ideas from other traditions and incorporate them into their own unseen order. Throughout this book I show how humor is one tool for people to do this for three groups (the people behind the three programs I discuss) without actually calling them “religions.” I think they act “religiously” in that they are facilitating, supporting, and protecting their unseen orders, but that they are not religions in and of themselves without larger social structures and institutional apparatuses that maintain those unseen orders have not extended beyond the programs themselves. I did not study audience reception because I never thought I could get a representative enough audience sample to say something of substance about humor in the programs which was my main focus, but if the audiences start forming lasting organizations around the unseen orders projected in the programs then I would say we might be observing the formation of new religious groups. 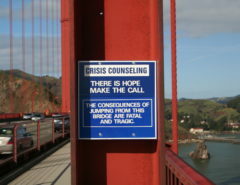 First, humor is not just entertainment. After writing this book I no longer think there is anything that is “just a joke.” Especially when it comes to satire, readers will hopefully be aware that they are being invited into a worldview and I hope that they think long and hard about why they laugh at something. I know that in doing the research and writing for this book my sense of humor has certainly changed and things I once found funny no longer work for me. Second, even if you don’t have any deep knowledge of a particular religious tradition there is a chance that you have some familiarity with that tradition that is used to facilitate various religious prejudices. I use the concept of “ignorant familiarity” to explain this in the book, but as any religion scholar knows, learning about a particular religious tradition is difficult work and knowing about even one is labor intensive. Most people do not put in that effort, but we still have a social stock of knowledge about different religions that we use to navigate everyday life. Superficial prejudices about any religious group can circulate widely in a given society. For example, some people in the United States continue to harbor the fear that all Muslims are terrorists or that Islam somehow excludes a person from fully participating in American life. This is factually incorrect, but the idea persists among people who do not endeavor to know Muslims. One of the takeaways from this book is that these “ignorant familiarities” are often used to facilitate humor and that means that critical consumers will hopefully think long and hard about how popular culture producers are playing on their prejudices when crafting entertainment. I would love it if readers started with Drawn to the Gods, identified holes in their own religious knowledge that they wanted to fill, and started learning more. 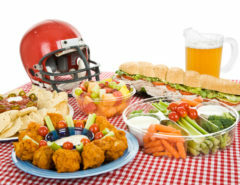 Third, it is acceptable to have fun, laugh, and think hard about the stuff of life. Popular culture scholarship is actually quite difficult, but people seem to think it is easy. It is not enough to just watch TV or listen to music, you really have to dig into the significance of the material and its social importance. Drawn to the Gods is loaded with references to academic and scholarly materials because I think that the theoretical ideas in the sociologies of religion, knowledge, and culture are incredibly powerful tools for helping us to not only think critically, but to also enjoy life. I have met more than a few scholars who make a hard division between entertainment and what they think is serious and important. The implication is always that popular culture is unimportant. I grew up in a small village in northern New Brunswick in Canada and my only connections to the world outside that town were television, movies, video games, and music. The world outside was brought to me by popular culture and the communities that built up around that culture have been invaluable to me in figuring out my place in the world. At the same time, I enjoy this work of studying popular culture. The programs I write about are meaningful to millions of people around the world. Yes, I work hard to explain all kinds of significant human phenomena through this material, but at the same time this is a book you can give to an 18 year old undergraduate and say to them, “Look, this man wrote a book about something he loved doing. If you love something in popular culture then it is ok to learn everything you can about that thing. You will learn more about the world than you ever expected in the process.” I think that learning about the world by studying things that make you happy and that you enjoy spending time with is the best thing you can do. If people leave this book inspired to think deeper about the world around them and are energized to move to the next question then I will have done my job. Peter Berger is the biggest influence on my thinking. Sadly, I never got to meet him, but I hope he would have thought that this was a good and interesting book, even though I am certain he would disagree with me on humor. His work in the sociologies of knowledge and religion are revelatory and I am deeply indebted to his intellectual legacy. I am still trying to get to the point where I can explain things clearly and with humor the way he did, but I cannot be effusive enough in my praise of his thinking and I am deeply in debt to his thought. Emile Durkheim became the surprise influence about half-way through this project. I have already discussed how his ideas about sacredness and sacred contagiousness were important on my thought, but as I look back over how my thinking changed from conception, through the dissertation process, and then the massive revamp for the book, it was the new role that Durkheim took in my thought about five years ago as I was reading the Yale School of Cultural Sociology’s thinkers (Jeffrey Alexander primarily, but in the study of religion Gordon Lynch has done a great job of incorporating Alexander’s ideas) and coming to my own perspective on Durkheim that made the most difference in this book. If I can ever come close to Berger and/or Durkheim in my thinking I will have done something of importance on this earth. The last major influence on my thinking and writing is my supervisor from the University of Waterloo, Douglas E. Cowan. To this day I find that my writing and communication style is subtly shaped by what I have come to call “Cowanisms.” Doug has a talent for compressing a lot of information into a simple statement. Whenever I find myself writing a paragraph or a single sentence that summarizes everything that preceded it and drives the point home, I hear echoes of Cowan’s conversations with me as a student and they have left a lasting impression. His writing was certainly an inspiration for me as I wrote the book. I would say there were two things. The first was building the theory of religious satire that communicates the two senses of religiousness that I previously discussed. The introduction to Drawn to the Gods does a lot of heavy lifting in a theoretical sense, but it is the piece of writing of which I am the most proud. When I was a doctoral student I did an optional comprehensive examination in sociological theory so that I could better position myself on the job market (by the way, it worked, that exam is what enabled me to land my job at Auburn University at Montgomery [AUM]). I had read the literature in religion and humor, which I found deeply unsatisfying as it was all arguing that religious humor revealed “the sacred.” The problem was that the data was all interpreted from within the religious traditions and there was no way to prove that “the sacred” was actually revealed. As a sociologist, I look at what groups of people do, but I do not necessarily take their claims about reality as proof that that reality actually exists. 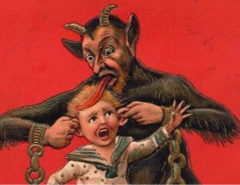 The religion and humor literature was not particularly helpful to me, but when I started to look at jokes as legitimations and joke tellers as socially embedded actors with particular agendas, I was able to see religious jokes in a different way. That insight was partly gained from the sociology of humor, but the larger discussions in sociological theory around symbolic interactionism and conflict theory were the really important tools for enabling me to position my work in a larger theoretical conversation. Extracting a perspective of joking as another kind of knowledge work that produces sacralization from the literature and putting it into something that could be communicated in a section of the introduction and not an entire book on its own was one of the most difficult things about this project, but ultimately it is the most rewarding. Combining pieces of relevant thought from dozens of sociological thinkers and compiling them into a usable theory for explaining the religion jokes in the programs was the hardest thing about the book. The second thing that was hard was choosing the examples to include. I was throwing out examples left and right in the revising process because there were just so many. Eventually, I got to the point where I realized that I would write the same broad themes and come to the same big conclusions if I exchanged half of the examples in the book for comparative examples that I did not include. At that point it became clear to me that the argument I was making was stable. I am glad for deadlines and wanting to get the book out, however, otherwise I might be plagued by the ever present question of “what if?” with the examples that were not included. It is really early in the process, but people in my church have read the book and learned things from it. I am very grateful and humbled by the fact that they are reading what I have to say and taking me seriously. The best part of that is that people who are not trained in the sociology of religion and religious studies can understand my writing and that is a huge relief. There are times when I can write with intellectual technicality and precision (read: jargon) and I wanted the book to be accessible. The graciousness of people who are not specialists, but who are reading and enjoying the book is the most surprising thing at this point and a huge relief to me. Right now I am finishing up a study of the relationship between religion and family in Montgomery through a research project with my colleague Kimberly P. Brackett at AUM. We are looking at the way that pastors in the area view “the family” and how social changes at large are affecting it. Then we are looking at how their churches are implementing family ministries on the ground level. Montgomery is a very religious city and the churches are major players in the community, so we are getting a good look into how the way that people view the intersections of religion and family shape institutional and religious life. There will be a series of articles from that project and it will likely lead to a second round of research and a book on a series of congregations who have made major changes in their family ministries in response to cultural changes in the last twenty years. I also have a series of book projects in religion and popular culture that I am mulling over for when we finish the “Holy Families” project. The one most closely related to Drawn to the Gods is a study of how religious standup comedians use their humor to perform religious identities. I am still thinking through some of the basic theoretical points that I am seeing in the data, but I am excited about how it will work as a companion to Drawn to the Gods. If Drawn to the Gods is how groups of people use humor to look at religion from the outside, the book on standup comedy will look at how religious insiders use humor to dialogue with their audiences about what it means to be a good member of that religious community.